A grown Willow Smith shows off her matured side, as she poses for designer - Karl Lagerfield for the most recent edition of ‘V’ Magazine. Stunting hard in front of a Rolls Royce Phantom, Willow who gets a worthy spread in ‘V’ Magazine is seen striking a few gnarly poses as she wears Chanel, Hilfiger and a few other name brands. 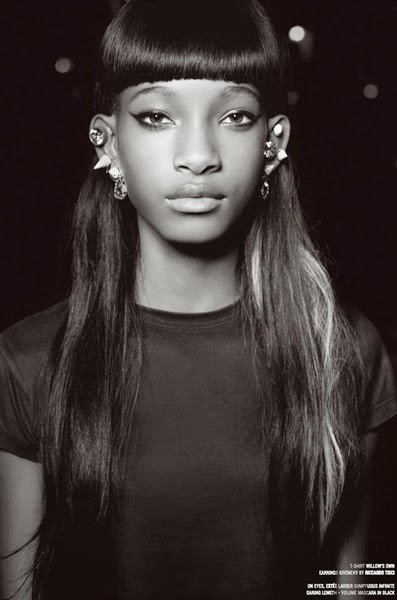 Willow Smith is growing up and maturing, and of course her mother was there throughout the whole spread - tastefully done, I like this side to Willow. Listen to her brand new song ‘5’ featuring her brother Jaden! Werk Willow! Check out the full spread below!